Fill out the form to be notified when this program reopens. Sign up now to be notified when the program opens! We show you how to lose weight and indulge without guilt, one weekend at a time! Even while going wild on the weekends. Is this really possible? You bet! Lyssie & Tammy are incredible problem solvers and so much fun to work with! Their methods are effective, easy to follow, and sustainable. The pounds slipped off easily and I didn’t feel like I was starving or compromising my love of food. I’ve learned so much from them, they've helped me change my attitude toward food and feel confident in my body and health again. They taught me the skills I needed to deal with emotional eating and how to strategize for everyday meals and obstacles. Lyssie and Tammy work hard for you and believe in you even on your most difficult days, they're inspiring! Customized to slim you down and pep you up. Pasta in cream sauce? What? Doesn’t it make you nuts to watch other people eat all your dream foods, while you push away the bread basket, the brownie and the chips, and still struggle endlessly to get down to (and stay at) your perfect weight? That ends now. With us. Registered dietitian nutritionists, certified personal trainers, and fitness coaches. We believe that everyone can be happier by leading a healthy lifestyle, and we’ve created the jump-start to get you there, along with a personalized plan to help keep you there for good. We want you to enjoy the food you eat, and eat the foods you enjoy, while rebooting your body and learning to lose weight permanently so you can always feel great. We train you to master the game plan we use in our proven weight-loss system. You’ll jump-start your health and lose those stubborn pounds, and you’ll learn the strategies we teach you so you can look and feel your best for life. Have a hard time maintaining weight loss after all your hard work? Wish you could be in control of your eating? Want to feel lighter and more energetic throughout the day? Feel like you have to give up your favorite foods to lose weight? Wonder if you really have to feel hungry in order to reach your goals? THIS PROGRAM IS NOT ABOUT STARVING YOURSELF! It’s about eating satisfying, nourishing foods and feeling energized. You want instant relief to feel lighter and less bloated and not just for the moment. You struggle to balance a healthy lifestyle with indulging. You feel discouraged and frustrated and wonder if you’ll have to deal with this your whole life. You want to break unhealthy eating cycles for good. You want to know how to recharge your body and feel more energetic every day. …but never stuck with the plan or couldn’t keep the weight off once you lost it. It’s not your fault. If you think nothing works for you, that you’re born to be heavier than you want, and that you failed at those plans, that’s not true. We teach you to conquer your personal eating struggles so you can feel slim and empowered for good. And we help you to amp up your current exercise (or non-exercise) plan. The 21-Day Body Reboot is awesome on so many levels! I can't say enough about how much Lyssie & Tammy have helped me. I had some medical issues when I first met them and had gained a lot of weight. They were so knowledgeable and encouraging and supportive - I lost the thirty pounds and I’ve kept it off. We’re a team. They listen and work with your needs and preferences and always have a great solution. 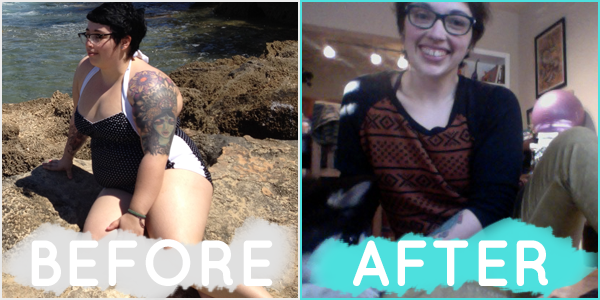 I wanted a jumpstart and took the 21-Day Body Reboot and loved it! It's very easy to follow and you have so many choices of delicious foods to eat and menus to follow, if you want. You learn portion control and how to indulge without sabotaging your hard work or feeling starved or deprived. Lyssie and Tammy are so knowledgeable and so full of positivity and support! They offer so much encouragement and help on the Facebook page. I can't recommend doing this program enough! 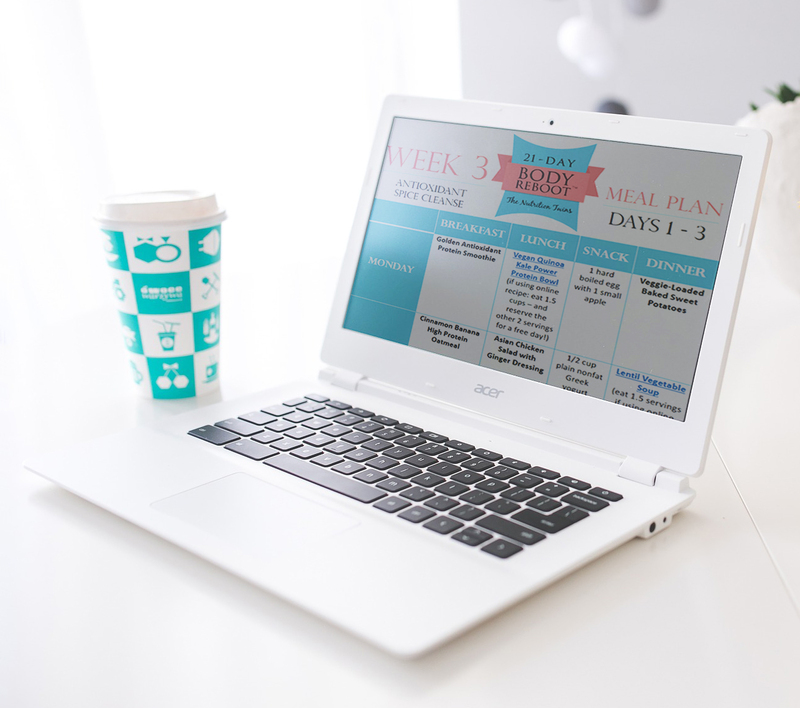 3 weeks, 2 phases, 1 healthier you. Each week you’ll follow a new menu plan, including easy-to-make cleansing drinks. You have the option to follow the menus exactly, so there’s no guesswork. Or you can follow specific guidelines. Don’t worry; we keep it simple. (We give you the amount of protein, veggies, etc., at each meal, in case you would like to make substitutions). You’ll receive expert advice to amp up the exercise you’re currently doing and to match your fitness level! Just as you’re craving a little more flexibility, your personalized plan introduces some freedom to your week! You get personalized guidelines and game-changing tricks all based on your specific eating patterns and favorite dream-foods, so you can go wild while still shedding weight. New weekly goals are specific to you and include strategies to conquer your personal eating struggles. You’ll learn how to let loose around food and how to easily reel in bad eating habits, so they never catch up with you days or weeks later. After 21 days, you’ll master balancing indulgences with losing weight, while being healthy and feeling energetic. PREPARE YOUR MIND AND KITCHEN for success one week before your reboot starts. RESET YOUR BODY to have a more efficient metabolism. You'll feel lighter and less bloated. You'll have more energy and you'll feel happy to be in control of your food choices and your health. In 1 - 3 days: You'll feel lighter, have more energy, flush bloat and release puffiness. In 5 days: You'll feel liberated and you'll know how to eat to feel satiated and to lose weight. In 7 days: Your stomach will be flatter and you'll feel happier. *Past participants have lost 5 or more pounds in the first week. RECHARGE YOUR BODY to increase energy, so it feels easy and you keep going. You'll feel even lighter, stronger, and healthier as you boost your body's defense against toxins, helping it to flush pollutants. And you're eating the foods you crave, without any guilt. 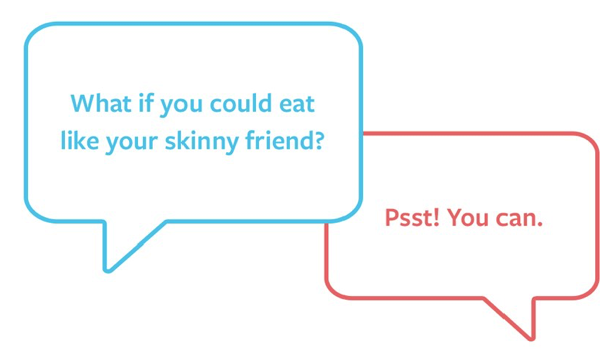 In 14 days: You'll feel confident about balancing weekend indulgences with daily healthy habits, all while losing fat. *Past participants lost 4 pounds or more during the second week. REJUVENATE YOUR BODY to boost your immune system, and make you a fat-burning powerhouse. You'll reset your taste buds and squash uncontrollable cravings. You'll feel empowered and motivated to move forward. Bloat and puffiness will be gone and your clothes will feel roomier and cover your body more seamlessly. You will have rejuvenated your cells, and you'll feel lighter, more energetic, and in control of your weight and your life. *Past participants have lost as much as 15 pounds by the end of the program. Know how to eat to feel full, absorb more nutrients, and lose weight without a struggle. Completely rewire how you think about eating so you can enjoy fun, social outings without sabotaging your weight-loss plans. Have confidence in yourself, knowing that you can fully indulge in your favorite foods and then reel it back in and stay on track. I have tried for years to lose weight. I've exercised, watched calories and drank lots of water, but no matter how hard I worked, I wasn't succeeding. Lyssie and Tammy helped me understand how to follow and adapt meals and menus so hunger wasn't an issue; I felt in control and alive. I was amazed that in three short weeks I lost nine pounds!!! Using what I've learned, I've not only kept the weight off but I now have strategies that continue to provide success. This complete roadmap has all the tools you need to reset your taste buds. Use it for added flexibility. Plus, whenever you want an instant jump-start and boost of confidence in the future, this is your bestie. You’ll get everything you need to lose the weight that you want. 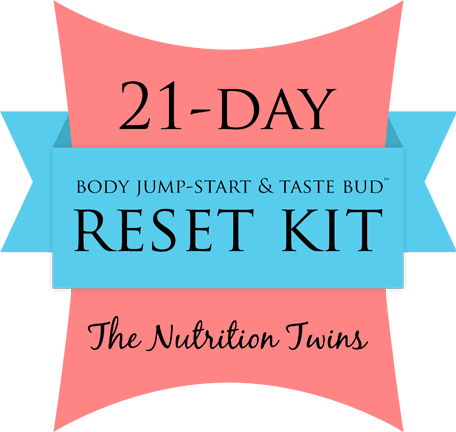 While our 21-Day Body RebootTM trains you to master our proven system so you can indulge and lose weight permanently using the proven weekend principle, this exclusive kit focuses on retraining and resetting your taste buds so you can get awesome results anytime you need a jumpstart. Get the quick results you crave and immediately get your mind, taste buds and body onto the healthy track. Going on vacation, to a wedding, a reunion, or coming back from one? Just want to feel better? Use this kit! You’ll quickly reset your taste buds (including learning exactly what delicious, satisfying food to eat). This will recalibrate your palate so less sweet foods and less salty foods will satisfy you. Utilize the detailed, easy-to-follow guide no matter where you are. Apply the simple plan any time your sweet or salt cravings start to get out of hand. Develop confidence as you apply the strategies and know you have the tools to reboot your body for the rest of your life. That’s the opportunity we want to introduce you to today. The two of them are great! They kept me motivated by always being positive and gave me great guidance with my food choices I have lost the rest of my weight that I needed to lose (which is obviously the toughest part) . I feel like I learned to eat differently. Whole, fresh foods. I was always eating snack bars before- which I always felt hungry-I like food and I like to eat, so when they chose my foods for me, I found to be more satisfied and I felt like I was eating a lot . You’ll get personalized strategies to lose those stubborn pounds in 21 days (and to keep them off!) 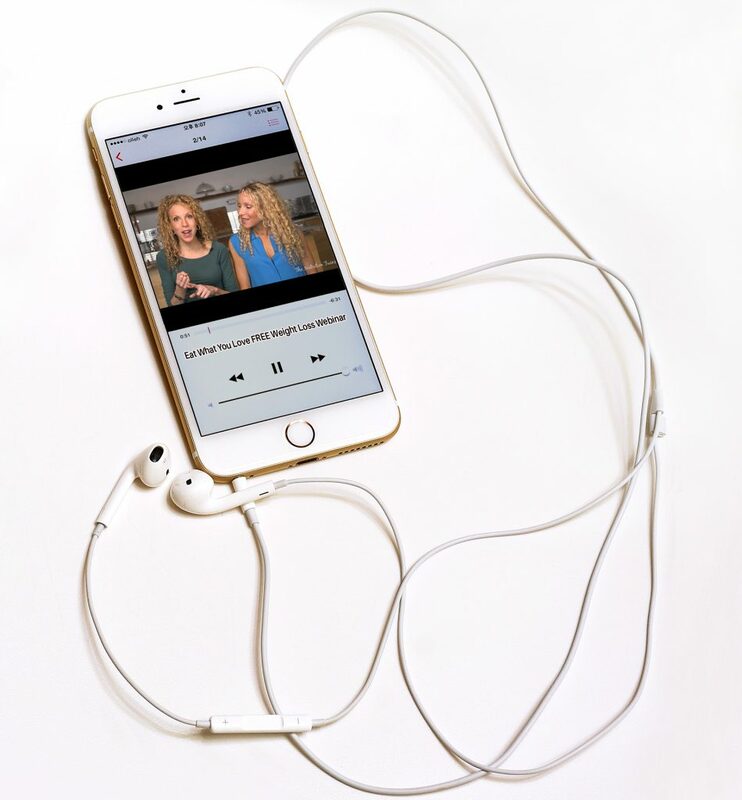 while indulging in your favorite foods, plus videos, guidebooks, menus, recipes, and shopping lists, as well as exercise guidance, Facebook support from The Nutrition Twins, and accountability from other group members. We provide you with every tool you need to lose weight with confidence and ease. Burn fat quickly and safely, and keep it off utilizing simple but powerful customized strategies and resources that don’t waste time, energy, or morale on a quick-fix that is bound to backfire. Develop skills and confidence to enjoy eating in any situation as you feel great in your body. After only 21 days, you'll walk away with personalized strategies for eating your favorite foods while keeping the pounds away, which you can use no matter where you are, anytime in your life, whenever you need a boost. The 21-Day Body Re-Boot is an incredible program and I am so grateful for Tammy and Lyssie! My husband and I did the program together. Not only did we lose weight, but we also learned how to eat in healthy, balanced, and mindful way. The program recipes are easy and delicious and when we didn't follow the recipes, it was simple to put the meals together. Personally, as a healthy eater, I was convinced that this program wouldn't help me lose my last 8lbs of baby weight, but I put the trust in the Nutrition Twins. But following the program, the weight came right off! Tammy and Lyssie are so supportive and available throughout the program. The facebook group is like having a team of people all moving forward with the same goal. The program ended up being really fun and I now have a lifelong way of eating that is healthy, balanced, and allows for so much flexibility no matter what situation I am in. Tammy and Lyssie are top notch nutritionists and I am forever grateful for them and their program! I still can’t believe I’ve been able to "splurge" on the weekend and still lose weight! You two and the 21-Day Body Reboot have really changed the way I view food and trying to lose weight. I am a "foodie" and have always struggled with balance. And now I know how to eat healthy, enjoy my favorite foods and lose weight, yay! We’re super-excited for you to try our new and improved program and for you to love your body and your life. Fill out the form below to be the FIRST to know when the reboot reopens! You'll also receive email updates from us. Today is the perfect day to get started. Gain a clear vision of exactly how you want to live your life: eating with ease and confidence. Be certain that you’re ready for a change. Whether you’ve tried other methods or you haven’t, it’s never too late to start loving your body and feeling confident in your clothes for good. Thank you for being the most effective counselors a woman could ask for. Thanks for all the encouragement and advice. Once Again- your program is the most effective of anything I've ever used….and I’ve used a lot of them. 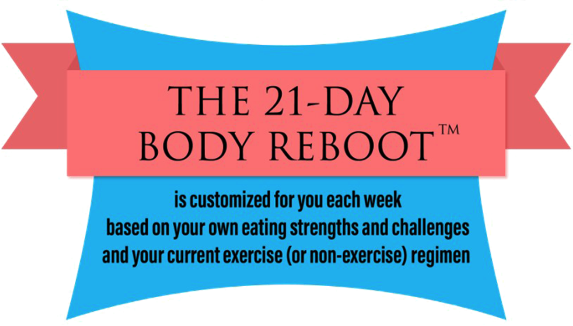 We have poured our hearts into building the 21-Day Body Reboot™, a program that is designed to help you transform your body and reshape your life. We are so confident that if you fully participate, you will benefit from the principles we teach, and so we provide a 100% money-back guarantee.program that is designed to help you transform your body and reshape your life. We are so confident that if you fully participate, you will benefit from the principles we teach, and so we provide a 100% money-back guarantee.